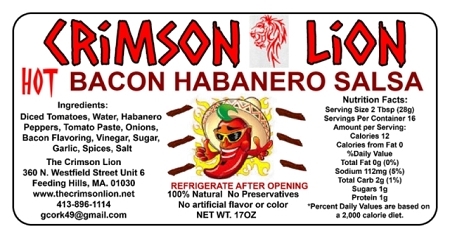 This is a new specialty salsa flavor in which we have added Bacon, for a robust tasting salsa along with some kick from the Habanero peppers. We have added this tasty salsa to our tacos as well as a fantastic topper to macaroni and cheese and other dishes. It has been a challenge to keep this item in stock. Black Bean & Corn Salsa-16 oz.